But their waitress and the police keeping watch outside the restaurant said it is in Anthony, Texas, not Anthony, N.M. An officer pointed to the Brown Derby Pub just up the street and said the line runs right through it. He explained that many years ago, the pub had a dance floor on the New Mexico side, and the bar on the Texas side because the state's more lenient alcohol laws then allowed 18-year-olds to drink. As to which, my favorite example of this is the little town of Tennga, which is half in Tennessee, and half in the great state of Georgia. The Georgia half is in a dry county. Highway 411 runs through it, and just as it crosses the border there is a little cinderblock building on the Tennessee side. If you are heading north, the sign outside reads: "1st Tennessee Beer!" If you are heading south, it reads instead: "Last Tennessee Beer!" If you haven't been reading BlackFive lately, you should stop by. I read your article regarding Women In Combat. I heard an ABC radio news article on this subject yesterday, but the gist of the entire article (per ABC) was that the Army is having trouble meeting enlistment quotas and that women are going to be encouraged to enlist to fill those slots. Would you comment on this view, please? SECDEF Rumsfeld spoke to the issue of recruitment, and retention, as recently as August. Q: Well, it wasn’t. So, pleasure to have you on the air today, sir. I appreciate your time. If I could just get right to it and ask you a couple of questions. One of them that has been on my mind. I seem to remember a couple of months ago – maybe eight, 12 weeks ago, some reports that recruitment, Armed Forces recruitment, was running very, very high. The various branches were having no trouble at all attracting the recruits that they needed. Then in more recent weeks, I hear the opposite, that recruitment is not running that high and, in fact, some of the branches may be having a little bit of a problem fulfilling their manpower requirements. What is the status there? SEC. RUMSFELD: Well, the facts are these, that the Navy and the Air Force are having no issues whatsoever. With respect to the Army, recruiting in the active component is doing quite well. It’s 101 percent of their target for fiscal year ’04. The Reserve recruiting is at 102 percent, so that’s going well also. And then the National Guard is somewhat below their target. They’re at 88 percent, but seem confident that they’re going to eventually make the numbers they need. That’s recruiting. On retention, things are going well, also. The retention in the active component’s over 100 percent of target, and Reserve retention’s about 99 percent. And in the National Guard, interestingly, it’s almost 101 percent. So across the board, it’s going very well. And we’ve got a terrific group of people in men and women in the service and they’re doing a great job. And the Army, of course, has an awful lot of people around the world, something like 12 percent of their forces is deployed. They’ve got 123,000 possibly in Iraq and Afghanistan together and maybe 270,000 deployed all over. So needless to say, that does pose some stress on the force. On the other hand, when you think they’re drawing off a million people, and we’re only using 270,000 deployed, it’s pretty clear that the problem is not a shortage of people; the problem is that they’re malorganized. So: it's not true that the Army is having trouble making its goals. The National Guard is, to some degree, but not the Army. All that said, the Army loves women recruits for other reasons. It has diversity task forces which "encourage," in the military fashion, a certain participation by various groups. Here is one such. The diversity racket is a hindrance outside the military, but downright dangerous inside it. The military needs the best soldiers, sailors, airmen and Marines it can get. If those are women, fine. If not, fine. Trying to play at percentages is unwise, as it means setting the participation goals above the fitness standards. A band of Vietnam-veteran Special Forces have signed the following letter. 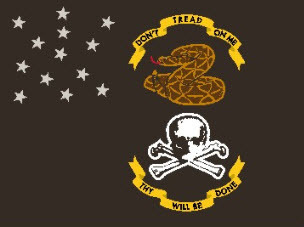 The undersigned Special Forces Vietnam Veterans support our Swift Boat brothers-in-arms and believe that John Kerry is unfit to be our Commander-in-Chief or to lead our nation as President. The Kerry presidential campaign has raised the significance of this deeply-felt and long-standing issue. While many, if not a majority, of the signatories of this request are Republicans and Bush supporters, many are not. Those who are Democrats have been effectively disenfranchised by Kerry's candidacy. For most of us the question of his fitness to serve as Commander-in-Chief, or in any other office of honor and high public responsibility, was settled permanently in the negative thirty-three years ago. He slandered and dishonored all Vietnam Veterans in false and exaggerated testimony before the U.S. Senate Foreign Relations Committee. By throwing away the symbols of his honors, he insulted all veterans of all wars by debasing the milestones of their valor. He has unrelentingly opposed issues vital to veterans. He has supported measures that have led to genocide of our former allies, the Montagnards, and the enslavement of the people of Vietnam. He has blocked efforts to enact Human Rights legislation to help alleviate their condition. He has taken action which led to the abandonment of American POWs in Vietnam that most of us believe were left behind. His stated plan to double special operations forces rapidly in response to today's threats demonstrates his lack of understanding of what makes a Special Forces soldier and his failure to understand that the available conventional armed forces manpower pool is insufficient to provide the necessary qualified personnel without seriously degrading standards. By Lieutenant Kerry's own request, he returned to the United States after completing only one-third of his tour. He did this by seeking and receiving three Purple Hearts for wounds of questionable cause and severity. He was the commander of a military unit, in this case a Naval combatant craft, and he abandoned his crew to the fight to return to a life of ease. By the standards expected of a Naval line officer of the United States, even with the most charitable interpretation, this is contemptible. There are serious questions concerning the circumstances of Lieutenant Kerry’s first Purple Heart, and perhaps about his other decorations, as well. These questions prompt us to call him to sign Standard Form 180 to authorize the full release of all records pertaining to his service. If his awards failed to measure up to the standards required, he should formally request that these awards be rescinded and removed from his record. No apology, especially a Jane Fonda-type, insincere or tepid apology is acceptable. No legislative abridgement of our freedom of speech or because one candidate or the other does not wish to discuss the matter will halt the discussion of these issues. We have the American right to discuss these issues. We fought for that right. We call upon the American people to reject his effort to become Commander-in-Chief of our Armed Forces and we urge other Veteran groups to join our solidarity with the Swift Boat critics of Senator John Kerry. I gather from the NY Times' review of "Stolen Honor" that it is finally starting to sink in with the left that those of us who oppose Kerry on these grounds really mean it -- that it's not just an attempt to slur a political opponent, but genuine rage at a man who violated the code expected of military men, and then had the audacity to slander the honor of those who kept it. I gather from Ms. Stanley's review that she is moved by the pain the POWs for Truth suffered, but unmoved by questions of honor. They don't interest her. Certainly she expresses sympathy for these men who were tortured in their nation's cause, and who had Kerry's words thrown in their faces by their captors. It will not, however, translate into a vote against Kerry, now or ever. Questions of honor don't matter as much as other things. Probably there are quite a few people like that, and if all of them come to the same conclusion, "Stolen Honor" will have still be a great victory. If these people only recognize that the attacks on Kerry by veterans and soldiers are the result of an aggreived and deeply felt code of honor, rather than political smear, it will be both clarifying and soothing to the national discourse. Though they may choose to support him for political reasons, we might have their respect; and it is easier to live with those who respect and understand you, even if they do not agree, even if they do not care about what moves your heart. So much for the urban liberal class, for whom honor is a quaint, even an amusing relic from an earlier age. There are others across this country for whom it is a living thing. Not all of them have heard what these Green Berets have to say, what the POWs said before them, and the Swiftees before them. There are ranks on ranks of honorable men ill-disposed to see a man of Kerry's character given command of anything or anyone. He is unfit, honorless. Perhaps this time they will hear. Perhaps this time, they will listen. I got a letter from my friend and former SEAL, Tiny Robinson, about whom you read earlier. He became a SEAL in 1971. At the end of his letter, he signed off: "Thank you for caring." I share his pain. It hurts to know how few people do. "The modern version of the slingshot." Heh. It was easy to keep all rounds on target while firing on full-auto, albeit at short range. While it looks highly unconventional at first glance, the P90 is actually well-balanced, ergonomic (non-snag), and quick to shoulder/point. I'm not convinced, in spite of these good features. Obviously someone decided that our forces could not be taught to hit anything even if their lives depended on it. Why else would you try to put together a "pistol sized" automatic weapon, in .22 caliber (5.7mm)? The hope is to put ten rounds roughly on target at CQB range, but isn't it better to put one round right where you want it? Go back to the .45, says I. It's training, not fancy toys, that is wanted. Now if they can just get on to calling us "baby killers," the antiwar left will be back to full-swing Vietnam mode. On Thursday night, an antiwar protestor in Milwaukee spit on a returned Iraqi war veteran, Marine Major Jerry Boyle. Boyle is a Republican candidate for Congress in Milwaukee. Boyle served in Operation Iraqi freedom and was posted to Baghdad shortly after the invasion. Boyle, the kind of gentleman we expect an officer to be, did not deign to notice. 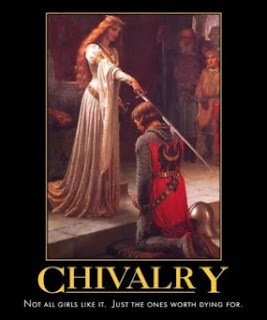 A gentleman duels only with equals, after all, and no such person is the equal of a United States Marine. The Army is apparently planning to do away with additional restrictions on women being placed in combat positions. The reasoning for this change is fairly sound: it's become so hard to distinguish what is and is not a "combat area" that enforcing the regs literally would mean keeping women confined to bases in the US. No point letting them enlist if you won't let them serve. Some Pentagon officials, who asked not to be named, said the proposed Forward Support Companies are at the least 'skirting' the existing ban if not violating it. Yeah, I wouldn't want my name associated with a pun like that, either. The war against poverty is threatened by friendly fire. A swarm of media-savvy Western activists has descended upon aid agencies, staging protests to block projects that allegedly exploit the developing world. The protests serve professional agitators by keeping their pet causes in the headlines. But they do not always serve the millions of people who live without clean water or electricity. Increasingly, the NGOs are the enemies of the causes the espouse. It isn't just poverty either. How many times must Human Rights Watch or Amnesty attack the United States, before they sort out that we are the single most committed defender of human rights in the world today? The enemy of your enemy is meant to be your friend. Even if they aren't perfect. It turns out that the last words of the UK Guardian sound remarkably like the joke about "the Redneck's Last Words." Hm... that didn't go too good. Ya'll were on the wrong track from "the Tony Martin school of foreign policy." You might have checked to see just how many letters old Tony has gotten from the USA, these last few years. I wrote one myself. Kerry returned after a two-hour hunting trip wearing a camouflage jacket and carrying a 12-gauge shotgun, but someone else carried the bird he said he shot. "Someone else carried the bird he said he shot." Now, I don't think Kerry can be trusted either. It's pretty clear that he'll say or do anything. Even I, however, am willing to believe that he could hit a goose with a double-barrel 12-gauge. In other news, Kerry -- who has been taking pains to hunt in every state he's visited lately -- is going to be giving a speech on his values. His spokesman, McCurry, said, "The fact that Senator Kerry is a person of faith is something that might help voters who are undecided." Personally, I would be surprised to learn that any remaining undecided voters are very religious. People for whom faith is a guiding light usually don't have a lot of trouble making up their minds on the important questions. What's to be undecided about, if you know your own moral center? ...unless you're having trouble with a core constituency, that is. UPDATE: Via PoliPundit, a writer who sees some similarities between Hunting Kerry and Elmer Fudd. Elmer Fudd: Reminiscient of Genghis Khan! UPDATE: Drudge apparently got a longer report from the journalists sent to cover the report. It sounds like they were pretty well torqued about the whole thing. My favorite part is where they're speculating about whether or not Kerry will actually dare to be seen bringing back a dead animal. Or maybe Osama bin Laden, who'll have been hiding in the bush. "Saint George for Merry Fiji!" The United Nations says Fiji's government has become the first to agree to provide troops [to secure the UN efforts]... Wednesday UN spokeswoman Maria Okabe announced that 130 Fijians would provide security details for senior UN officials and a guard unit to protect UN facilities in Baghdad. "These contributions are critical to the UN's efforts to strengthen the security arrangements for its personnel in Iraq," she said, quoted by the Associated Press news agency. "This would make it possible for the United Nations to consider expanding its activities in Iraq as circumstances permit." It's worth asking why Fiji has the kind of moral and physical courage lacking in so many. Greyhawk provides the answer by posting the flag of Fiji. In the upper hoist quadrant, there is a Union jack; in the field, a Cross of St. George. Fiji's part of the Anglosphere. The one time I've ever said anything nice about anything called a "Yankee," and look how they repay me. I should have known better. You just can't trust that ilk. Zell Miller is out winning votes for Bush in PA. Not, mind you, firing up Republicans to vote for Bush: convincing Democrats to vote for Bush. Belying its registration statistics and political character at the local level, Westmoreland County over the last 15 years has become an increasingly reliable source of votes for Republican candidates. And reliance on that trend was one of the foundations of an aggressive GOP-controlled redistricting plan that dramatically reshaped the state's congressional map two years ago. The issues of abortion and gun control are repeatedly cited by Republican and Democrats as among the keys to the GOP inroads in counties like Westmoreland across the western half of Pennsylvania. Whatever the outcome of this race, there is going to be a realignment of traditional Democrats. Many, of course, will go Republican. But it may be that others of us will split the party. I think a Jacksonian Democratic party would be able to look toward 2008 with pleasure. Although it would lose most of the left wing of the current Democratic party, it could capture the center-right of the Republican party. I see no reason such a party shouldn't be the leading force in American politics. "I Have Knocked on the Door of this Man's Soul and Found Someone Home." You can see "Ashley's Story," if you have not, at that address. I personally believe that character can be a sufficient cause to vote for one candidate over another--character is the one thing on which you can finally rely. The law won’t restrain a man of sufficient power or connections or fame. Past a certain level, character is the only thing that can. Everyone must finally evaluate these mens’ characters for themselves. It seems to me that this story is enlightening in that regard, given the great number of assaults that have been directed at Bush’s. Yet, finally, he is a decent man. Kerry is not. He betrayed his oath as an officer, and his brothers in arms--first by leaving them under fire, then by meeting privately with the leaders of their enemies, and then by entering those leaders’ propaganda into the Senate record, while advocating that enemy’s plan. That he did so is not even contested. People who wish to support him merely try to excuse or explain what everyone recognizes that he did. There are many things the Bush administration does of which I don’t approve. Yet, finally, Bush is a decent man, and Kerry is not. To me, and to others, that will be sufficient. Want to read something really interesting, that has nothing whatsoever to do with politics or the military? Read "The Ketchup Conundrum." It will explain several things you never knew you didn't know: why your toddler won't eat anything new, why nobody's ever gotten rich selling gourmet ketchup, and several other things besides. Via Arts & Letters Daily. 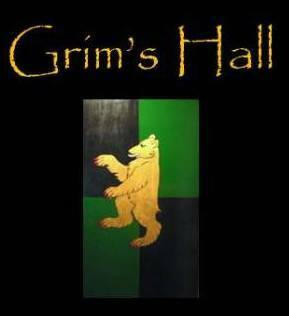 As Grim's Hall is a family site, that sentence will not be concluded. Still, Marines in the audience are grinning broadly. Really, military humor is just unprintable. I apologize to everyone for this walk down memory lane. Should the military be allowed to vote in the presidential elections? Both Florida and Ohio have massive numbers of deployed soldiers, as do NJ, PA, and other swing states. But Democratic lawsuits may prevent military voters from having the chance to speak out. My reading of the polls is that the general trends give the election to Bush, if military voters are counted. If the Democratic party can get military ballots thrown out, or prevent them from being issued in time for the election in the first place, Kerry could win. Ohio is close enough, excepting military voters, that Kerry has a chance of carrying it. Is there anything we can do to make sure the servicemen get to vote? Nope. By putting the matter in the courts, partisans remove it entirely from any democratic (small d-) pressures -- indeed, that is why the courts are generally preferred by advocates of positions that horrify the electorate. If the partisans can manage the delays long enough, they could win by disenfranchising the deployed military, and no political action by any side or group can stop it. It's just a matter of whether the courts reach a resolution in time to get approved ballots to the troops, get them filled out, and returned in a proper fashion. No point in speculating on what the proper response would be, should the litigation strategy succeed in disenfranchising military voters. Maybe things will work out right. Perhaps the court system will work. I suppose we'll see. As a SEAL Reservist, I have tried to maintain contact with my friends in the Teams who have remained on active duty. This President has authorized SOF operations that were unthinkable with the prior administration. If I told you the places my friends have been, you would be shocked. President Bush's risk tolerance for operations in support of the GWOT is satisfyingly high. While John Kerry promises to double SOF which is impossible, the President has shown a detailed understanding of what the SEALs are up to and how they are getting it done. The President has mandated the creation of 2 additional SEAL Teams, but he told our top Admiral that he would not abide the degradation of training and selection of men. This is music to the ears of a Navy SEAL who places his life in the hands of his comrades in training and war. SEALs that I have talked to love the President and Donald Rumsfeld as well. JarHeadDad invites you all to drop by and see the pictures from Iraq. The 2/2 is just back, and he's got some new shots just developed and posted online. There are some older things too, if you missed them the first time around.